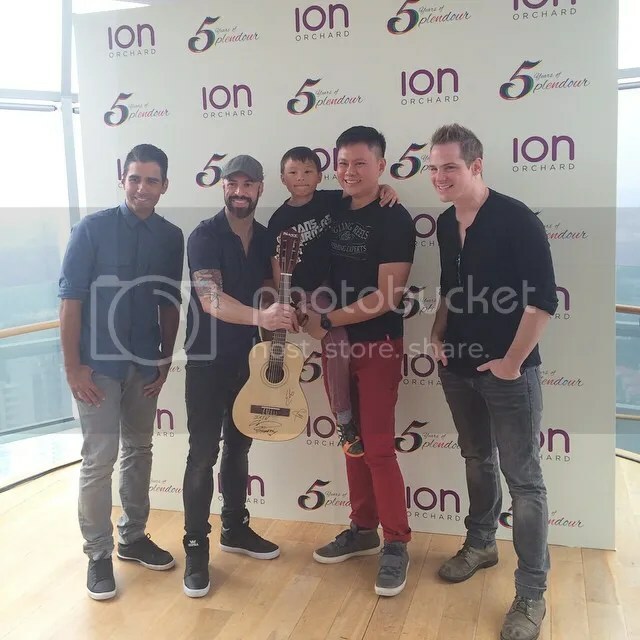 The Fifth Parlour’s writers were lucky enough to win passes to the exclusive meet and greet held at ION Sky on Friday. 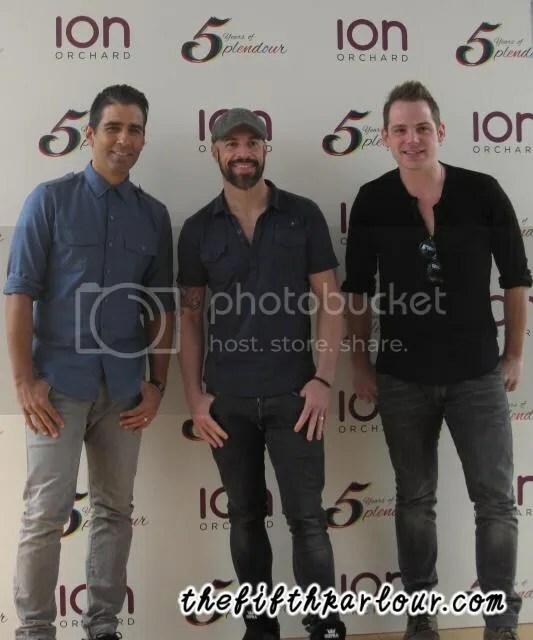 It was an intimate session where fans got to see Chris Daughtry, Elvio Fernandes and Brian Craddock upclose. Hosted by the beautiful Kiss 92 DJ, Maddy Barber, she went straight to ask the band some questions to liven up the mood. Having been in Singapore for a few days, their schedules were so packed that they have not tasted Singaporean food. What a shame! “Chilli Crab,” was shouted across the room when being asked what the band should try before flying to Japan. The boys looked puzzled to what this dish was and Maddy was helpful enough to give the description. “I hate working for my food!” answered Chris after listening on how to eat the crab. Hopefully, they were able to taste some Singapore dishes before flying off. Chris then passed the mike to Brian to share with the fans about a memorable gift they got , a bobble head made of wood. They then started laughing amongst themselves after Maddy told the fans that they have to be better than this to top the gift. It was later revealed that it was given by a guy which got the fans laughing! After the short sharing session, it was time for individual photo taking session with the band. Everyone got a chance to interact with the band for a short while before getting their pictures taken by a professional photographer. The band was really friendly, saying Hi to each and every single one of the fans. Not only that, they were smiling all along looking really cheerful. Fans walked away with their latest album, Baptized, and of course memorable memories of meeting the band. Compared to previous years, this year meet and greet at ION Sky was really short. Nevertheless, no matter how short it was, the band managed to bring not only a smile to their fan’s faces but also unforgettable memories.